This is a significant interview – Toru Watanabe was the journalist who oversaw Paddy’s trip to Japan in late December 1999, which has been a recurrent theme this year on Sproutology and has been the main driver of what I’ve been doing this year with Japanese material. We still have to come Paddy’s meeting with Banana Yamamoto, but the Watanabe interview was one of the main events of the promotional visit, and “the Dig” from early 2000 was sumptuously produced with some glorious photographs. Japanese magazines are tremendously high quality. The interview – complete with detailed footnotes – is a very interesting one and touches on aspects of how Paddy approached “I Trawl the Megahertz”. 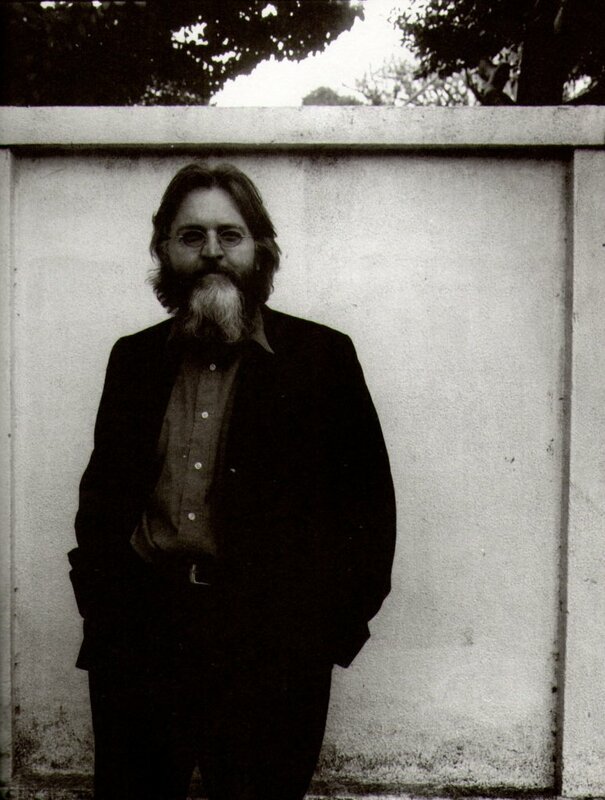 For those who have only learned about Prefab Sprout in the last ten years, Paddy McAloon is, in a sense, something of a mythical presence. He is after all a popular songwriter, yet he hasn’t played a concert since the end of the English tour in 1990. So there may well be people who put him into the same category as Brian Wilson. Although Paddy is certainly a pop pioneer, he isn’t misanthropic or reclusive, nor is he emotionally unstable. He’s not someone with a giant, unmanageable ego. In other words, he’s not the kind of artist who creates music at the cost of psychological flaws, and in that sense he’s a long way from artistic clichés. 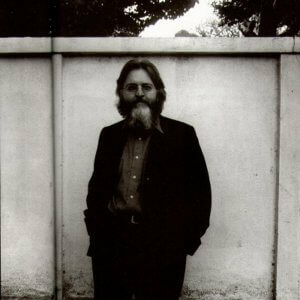 His promotional visit to Japan came from a desire to let his Japanese fans know the true face of Paddy McAloon. From my perspective it was the third time I’ve interviewed him, but the first time for about seven and a half years. Nonetheless thanks to his recollection of our previous meeting, I was able to continue the conversation just as easily as if I’d been talking to him just a week ago. – When I interviewed you for the first time in 1990, I told you my favourite song on “Jordan: the Comeback” is “One of the Broken”, do you remember? That song is like an inversion of a gospel song, and you told me about its wonderful inspiration and that you like it a lot yourself. So of course I was expecting it to be in the “38 Carat Collection”, but it wasn’t included. – I’m surprised by the fact you came to Japan like you have . And you’re starting a full English tour at the end of March . There are apparently a lot of things happening in 2000! – There’s a term “Pocket Symphony” referring to the work Phil Spector produced in the ’60s. In your most recent work, “Andromeda Heights” you’re joined by a lot musicians who aren’t core band members. In that sense I think it’s a spectacular album. Especially “A Prisoner of the Past”, which is just like a pocket symphony. – The story circulating about Ike & Tina Turners’ “River Deep, Mountain High” is that it’s a song Spector sent out into the world with total confidence. However it wasn’t as big a hit as he expected and it nearly ended his career. – I’d like to dig into your relationship with pop music. You liked T-Rex when you were a teenager, right? – What sort of thing did you like about Marc Bolan? – What caused you to focus on Jimmy Webb ? – So in the wake of “Wichita Lineman”, you began to look out, to listen out for other Jimmy Webb work? – His father is a missionary by the way. In that sense there’s maybe something a little bit comparable to your own home environment . Is there something similar between your songs and his in that sense? Also I mentioned the relationship between “One of the Broken” and gospel, but to what degree is his music affected by gospel? – Could you tell me how you became interested in the “Tin Pan Alley” songwriters? – In the Japanese liner notes for the “38 Carat Collection”, I cited various people including Irving Berlin, but I forgot one songwriter very important to me. That’s Laura Nyro[ 8]. – “Gonna Take a Miracle”? – Yes. You said “I should have done it more concisely”. – Thomas Dolby’s  skill was largely responsible for the success of Steve McQueen. Did you learn your recording technique from him? – The next album you recorded was made as a sort of reaction to “Steve McQueen”, you recorded it in just 18 days. – The fourth work in order of recording, “From Langley Park to Memphis” is an album where you forgot you were a member of a group and created it in the way you were thinking at the time. You discovered the splendour of the music from Broadway musicals. – “Jordan: The Comeback” is the album you are most proud of. – The most recent album was “Andromeda Heights”. “Before I started making that album, I was working on the album ‘Earth: the Story so Far’ . I thought it would be simpler than ‘Jordan’, but it was based on the theme of the history of the world. I wrote 20 to 30 small pieces over many months. Then one morning I woke up and I thought: ‘If you go on at this pace it’ll take over a year to finish the demos and another year to do the album….’ In that case, rather than following my original plan, I’d end up making another piece like ‘Jordan’. – Can you talk about the next album? I understand the demo tape has already been completed. “It’s a work in a completely different style, basically composed of two tracks, one of which is called “I Trawl the Megahertz” , but the other made up of shorter songs. It’s a woman’s narration backed with instrumental music. To begin with, I should explain why I thought about making such an album. I suffered from some eye problems  a few years ago and I couldn’t see anything for a while. So there was no choice but to listen to the radio. Live talk programmes mainly, focusing on calls from listeners. So when words and phrases I liked came out of the radio, I would write them down and join them up later using a cut and paste technique. 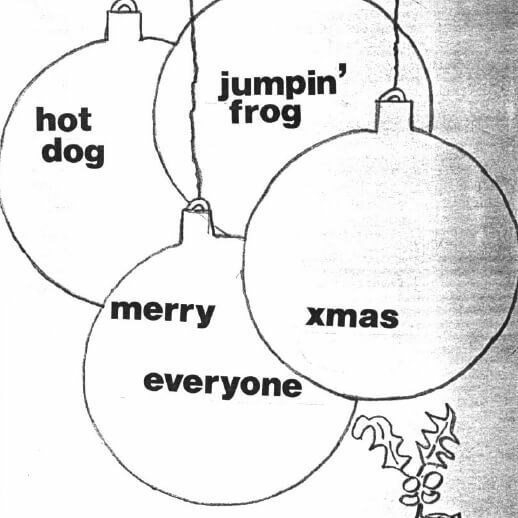 I made phrases. I the meantime I began thinking about using one of these to make a single piece of work, but the direct stimulus was the story of a young woman who called into a programme. The woman told her little daughter that “Daddy loves you, daddy loves you very much, he just doesn’t want to live with us any more” and she repeated that phrase over and over again. I was recording the programme on tape, but when I listened back to it later, that phrase wouldn’t leave my head, and it felt like it was the chorus of a song. – Is the album a sort of movie you listen to? – By the way, have you ever considered writing a movie score? [Note 1] Promotional visit to Japan. If you don’t plan to play live, the only option is to come to Japan for a promotional visit. So Paddy visited Japan – it had not yet been announced that a full English tour would be happening at the time of the visit. It was a snap decision so we couldn’t do much promotion of the talk, which took place on December 18th 1999, but on the day, over 200 fans gathered at the HMV store in Shibuya. Paddy McAloon was deeply moved. It was the first time Paddy had stepped onto Japanese soil since the Prefab Sprout visit in 1986. This time he came to Japan only with Phil Mitchell from the Kitchenware management team. Kitchenware also manages the Lighthouse Family, on whose album former members of the Kane Gang participated. [Note 2] British Tour. This all-English tour, the first to take place since the “Comeback” Tour in 1990 at the time of the release of “Jordan: The Comeback”, will take place between March 30th and April 16th. A total of 16 public performances will take place (including two shows in Dublin). For these concerts, the Prefab Sprout line up will be Paddy McAloon (vocal, guitar), Martin McAloon (Bass), Neil Conti (drums), Jess Bailey (keyboards). Jess Bailey also participated on keyboard on the “Comeback Tour”. Wendy Smith is still absent since giving birth to a child, so she is not participating in the concerts this time. Also in the UK, “Where the Heart Is”, which is also included in the “38 Carat Collection” will be released on April 10th as a CD single. On the single will also be “When Love Breaks Down”, and an original demo version of “I’m a Troubled Man” that was offered to British actor and singer Jimmy Nail. Jimmy Nail’s version is included in “Crocodile Shoes” (1996). [Note 3] “River Deep, Mountain High”. This Ike & Tina Turner masterpiece produced by Phil Spector was released in 1966 and rose to No. 3 in the English charts. However in the United States the release ended in misfortune and due to the failure, Phil stopped working on records in 1967. Incidentally, the cover for Ike & Tina Turner’s album of the same name was taken by director and actor Dennis Hopper. [Note 4] “Ride a White Swan”. The first T Rex hit, ranked second in the UK charts in 1970. Paddy said that as a teenager he was an avid listener to the Top 40 on the radio. “Both Martin and me constantly listened to the top 40, and repeatedly to the tapes I recorded of it. So Martin mastered the Deep Purple guitar solo (laughs). Then the next week we’d play Lindisfarne songs, and the week after it would be The Who’s ‘Won’t Get Fooled Again’. Anyway, we were trying everything out. I guess it was like a period of apprenticeship. It was around 1970/71 that we started thinking about making records. That was around the time when David Bowie and Steely Dan appeared, but we accepted and absorbed everything from their music to the Beach Boys and Bob Dylan and other Pop classics.” (Paddy). [Note 5] Jimmy Webb. The songwriter who provided a number of pop gems for Fifth Dimension, Glen Campbell, etc from the late 1960s to the 1970s, which went to the top of the charts. “Wichita Lineman” is a song Paddy often cites as his favourite song, rising to 3rd place in the national charts. Even after the 1980s he has written music for Art Garfunkel, composing for a diverse range of fields such as movies, TV music, musicals. In addition he has already released nine solo albums. [Note 6] Richard Harris – Personality and actor from Ireland. “MacArthur Park” which Jimmy Webb wrote, produced and arranged became the second biggest hit in the United States in 1968. In addition “Dancing Girl” as mentioned by Paddy is a track included on his first album “A Tramp Shining” in 1968. [Note 7] Paddy’s family environment. 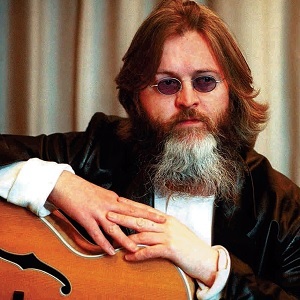 Paddy McAloon attended a Catholic Seminary. Therefore quotations from the Bible are often found in his lyrics. 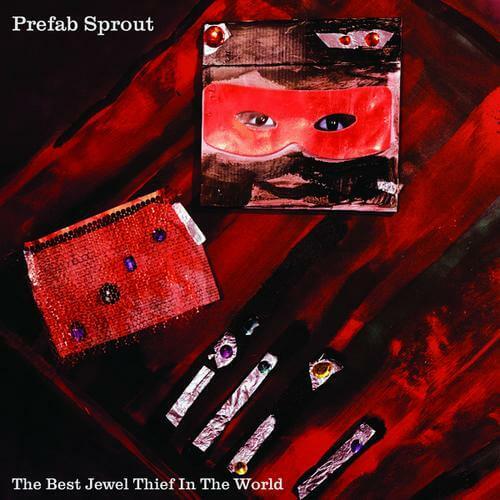 In that respect Prefab Sprout music can be said to be close to soul music and rooted in Gospel. [Note 8] Laura Nyro – Paddy McAloon spoke warmly of Laura Nyro. Because the interview took place at the headquarters of Sony Music Entertainment, and thanks to the generosity of the director in charge we gave him a double live album “Season of Lights – Complete” (1977) which had only been released in Japan. Of course Paddy was delighted. [Note 9] Thomas Dolby. Currently Thomas Dolby is engaged in multimedia related business, and his activities as a producer/musician are in a state of inactivity. Thomas Dolby’s music is often pulled into the category of ‘Electronic Pop’, but he has also covered Dan Hicks & His Hot Lick’s “I Scare Myself”, and Joni Mitchell’s “Jungle Line”. He’s also a fan of Randy Newman. [Note 10] Barbra Streisand, “Back to Broadway”, “The Broadway Album” (1985). Includes songs from “West Side Story”, Porgy and Bess” and other popular songs from Broadway Musicals. I doubt there are many people interested in Barbra Streisand among the readers of this journal, but I’d like to give an honourable mention and personal recommendation of “Stony End”. The members of the team of arrangers include Perry Botkin Jr, Claus Ogerman and Gene Page. [Note 11] “Earth; the Story So Far”. Beyond this, Prefab Sprout has several unfinished albums such as “Let’s Change the World With Music”, and “The Atomic Hymnbook”. “Thomas Dolby told me that if I wanted him to produce ‘Let’s Change…’ he’d be happy to do it, but when I spoke to him a while later I had been working on ‘Earth…’. Of course I want to finish my incomplete album, but Thomas has been away from the music business for a while. But if he helps me, ‘Let’s Change…’ will surely be a remarkable album.” (Paddy). [Note 12] “I Trawl the Megahertz”. It’s said that the demo tape for this album has already been completed, but the release date hasn’t yet been settled. Incidentally, when Paddy was asked how he spends his days he said: “In the first half of the 1990s, I focused on writing songs for 2–3 hours after I got up in the morning, then I did completely different things. After a while I would go back to songwriting and continue until 4 or 5 o’clock. But that was only for the first half of the 1990s. For the last six months I’ve been working on arranging. So for that I was using a guitar, and rather than making a song I was sorting out fragmentary phrases. You might say that was the same way I worked when I was a teenager. In that sense I’ve returned to the point of departure. Using this method you can dare to surprise yourself, without over-stretching. I think it’s good to accumulate various elements and finish them in the form of a song at some time later. And sometimes I do it on a computer, I sometimes in front of the piano, and sometimes I strum chords on a guitar. I intentionally decide to change how I do things. That way I don’t get bored, and I think that will mean the listener won’t get tired of it either.” (Paddy). [Note 13] Paddy suffered from eye problems several years ago and couldn’t see for a time. 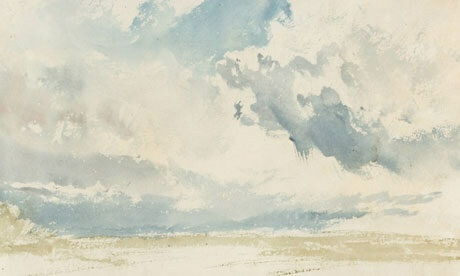 The cause was overwork, because he was too absorbed in composing – it seems he was looking too much at the computer screen. He says he had two operations. However he seems to have recovered his sight now. There are, incidentally, many people surprised at the difference between Paddy on the album cover of the “38 Carat Collection” and his present appearance, but when asked he says he’s been growing a beard for several years. In other words the “38 Carat Collection” is using an old photograph. Also Paddy has married in recent years and has become the father of two children. He explains that the reason he keeps growing beards now is that if he shaved it off now, his young daughters who got used to it when he was hospitalised wouldn’t be able to recognise him. It’s a very funny story. Note number one says 2019. I don’t think it’s an earth shattering typo, though. In fact, I’m glad to find out about this 🙂 Now there is plenty of lead time to get a ticket and go to Japan in two years.